You’re probably a big fan of Mad Men, but did you know that it was already made in 1969? Screen legends Kirk Douglas (“Spartacus,” “Is Paris Burning?”) and Academy Award-winner Faye Dunaway (“Network,” “Chinatown”) headline in this high-pitched story of a successful executive who is forced to confront the realities of his complicated life. Academy Award-winning director Elia Kazan (“A Streetcar Named Desire,” “On the Waterfront”) brings his own best-selling novel to life. 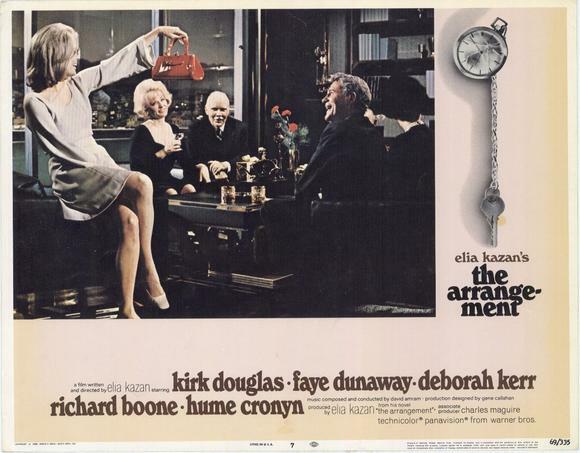 The Arrangement is a 1967 novel by Elia Kazan, narrated by a successful Greek-American advertising executive and magazine writer living in an affluent Los Angeles suburb who suffers a nervous breakdown due to the stress of the way in which he has lived his life – the “arrangement” of the title. In 1969 Kazan made it into a film. The Arrangement was a best-seller and garnered generally favorable reviews but it has been out of print since 1980s.